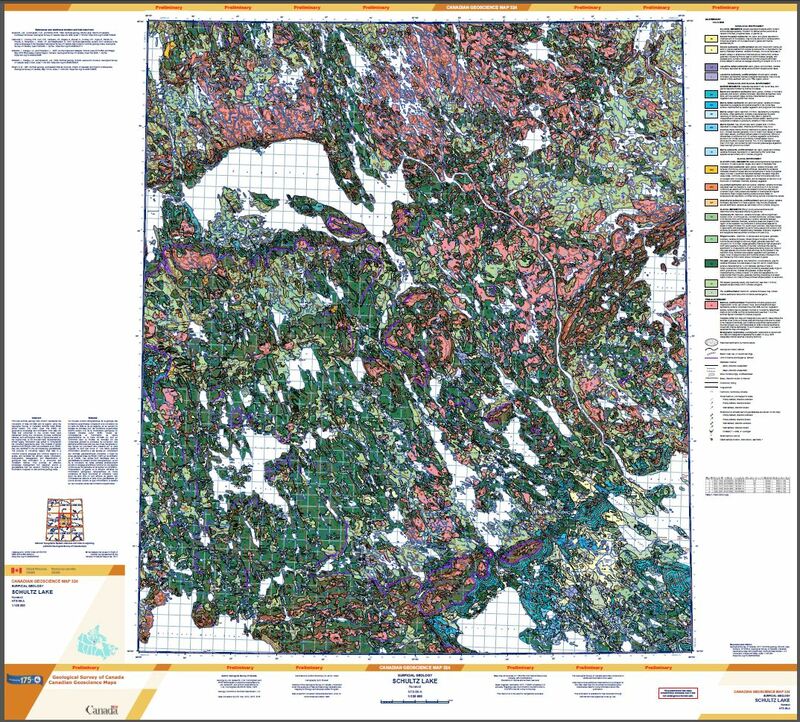 This new surficial geology map product represents the conversion of Map 43-1989 and its legend, using the Geological Survey of Canada's Surficial Data Model (SDM version 2.3) (GSC Open File 8236). All geoscience knowledge and information from Map 43-1989 that conformed to the current SDM were maintained during the conversion process. Additional material, such as marginal notes or figures that exist on the original map, is not included here. Supplementary, limited legacy information was added to complement the converted geoscience data. This consists of glacial striations from Wright (1967) and McMartin et al. (2008); they are identified in the accompanying geodatabase. The purpose of converting legacy map data to a common science language and common legend is to enable and facilitate the efficient digital compilation, interpretation, management, and dissemination of geological map information in a structured and consistent manner. This provides an effective knowledge management tool designed around a geodatabase that can expand, following the type of information to appear on new surficial geology maps. The map identifies surficial materials and associated landforms left by the retreat of the last glaciers. The surficial geology is based on aerial photograph interpretation, field work and limited legacy fieldwork (striations). This work provides new geological knowledge and improves our understanding of the distribution, nature and glacial history of surficial materials. It contributes to resource assessments and effective land use management.